Is your existing alarm broken or showing faults? We’ll keep your residential security and alarm systems operating reliably. We pride ourselves with having the most experienced, well trained, professional fire and security system installers delivering the service you deserve. Constant training programs keep our installers/repairers at the forefront of our industry. We take pride in our installations/repairs and the products we use. We service, repair and upgrade most types of wired and wireless alarms. We have many years of experience with all types of installations and repairs, either large or small. Never pay another fire inspection fine again. Our experts know your city’s fire codes. We design, install, and maintain your system to meet these code. That means no headaches, no fines and no time spent fixing violations. You can join the group who enjoy these benefits from “HITS SECURITY SERVICES“. Every major brand of fire safety equipment will be handled. We get volume pricing on top products and pass the savings on to you. 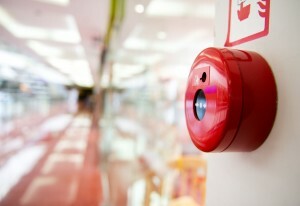 Fire system installation to fire sprinkler and fire extinguisher preventative maintenance, repairs and inspections. Our aim is to find the most suitable solution for YOU.